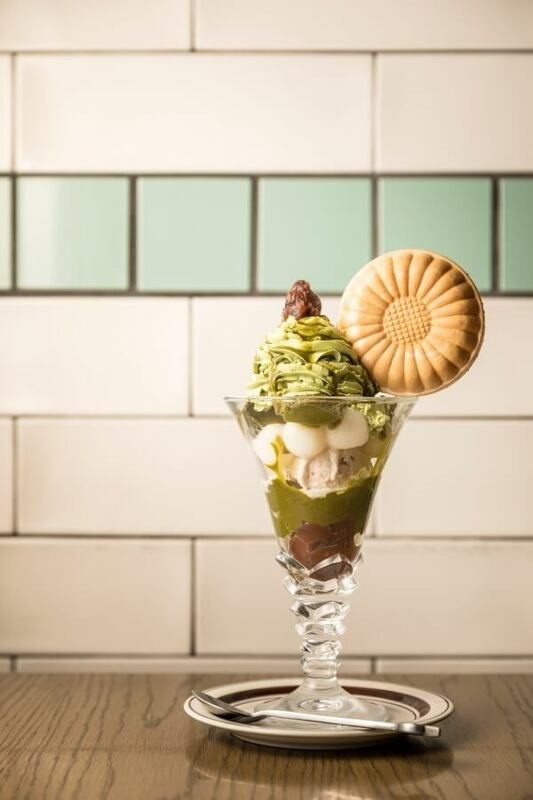 Glorious Chain Café, managed by DIESEL, introduced two brand new matcha desserts to their menu on February 16th. They are sold at Glorious Chain Café branches in Shibuya, Osaka and Shinsaibashi. 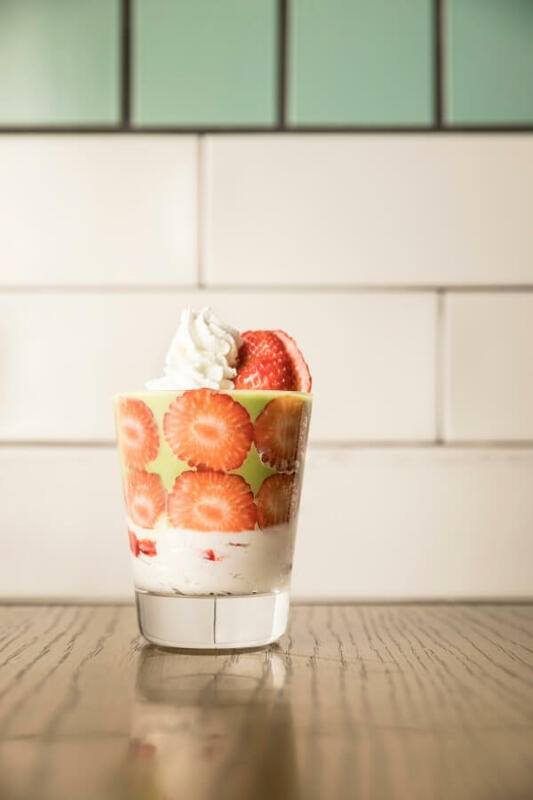 The new items include a matcha smoothie made with fruits and a matcha parfait that’s packed with jelly, rice flour dumplings, a waffle and more, giving a layered texture to the dessert. Piled inside this parfait is sweet adzuki bean paste, rich matcha flavoured jelly, and sticky rich flour dumplings. The parfait is topped with a waffle which you can stuff with the ingredients in the glass. The highlight of this Japanese dessert is the mix of bitterness and sweetness. The strawberries decorating the side of the smoothie will catch your eye for sure. The matcha smoothie is mixed with fruit berries and banana, and at the bottom sits whipped cream and strawberry puree which, while stirring, can be enjoyed as a sweet drink with the same texture as a parfait. 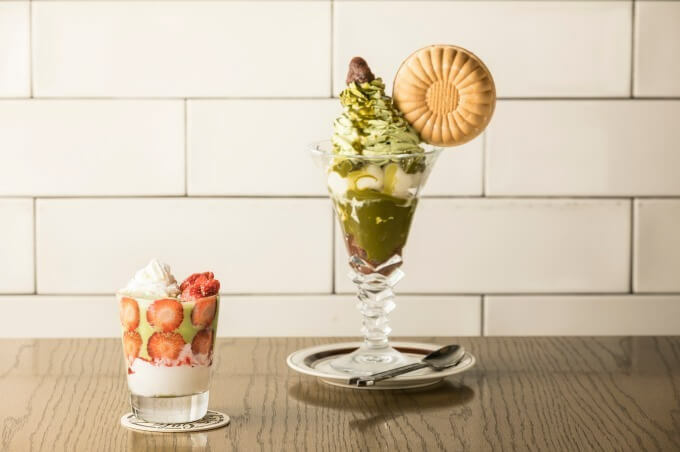 Tuck into these new Japanese-style matcha desserts at Glorious Chain Café.